In 2015, according to PSZ, the richest 1% of people in America received 20.2% of all the income in the nation. Ten points of that 20.2% came from equity income, net interest, housing rents, and the capital component of mixed income. 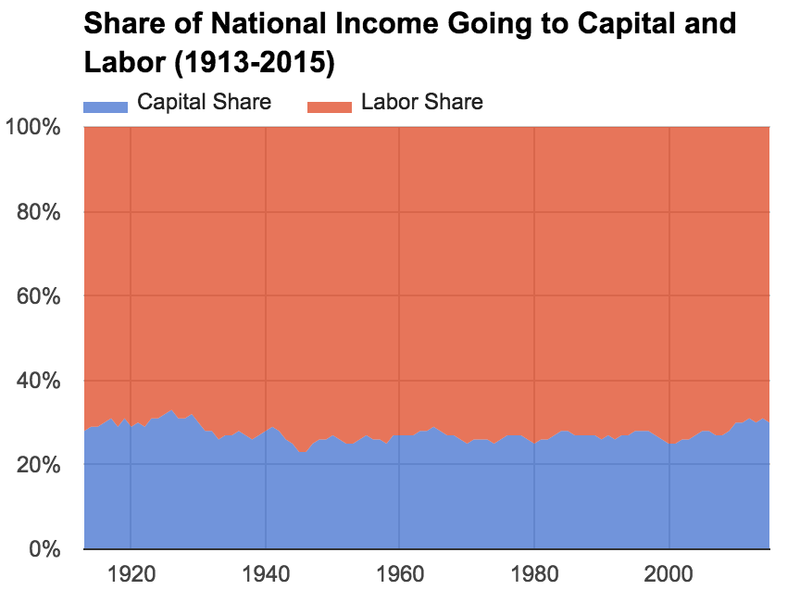 Which is to say, 10% of all national income is paid out to the 1% as capital income. Let me reiterate: 1 in 10 dollars of income produced in this country is paid out to the richest 1% without them having to work for it. Even if you exclude the capital component of mixed income (since it is connected to work even if the income is not from labor) and housing rents (since these are imputed to homeowners rather than paid to them as cash), that still means that, from equity income and interest alone, the top 1% receives 7.5% of the national income without having to work for it. Put another way: the average person in the top 1% receives a UBI equal to 7.5 times the average income in the country. If passive income is so destructive, then the income situation of the 1% surely is a national emergency! Where does the 1% get its meaning with all of that free cash flowing in? The fact is that capitalist societies already dedicate a large portion of their economic outputs to paying out money to people who have not worked for it. The UBI does not invent passive income. It merely doles it out evenly to everyone in society, rather than in very concentrated amounts to the richest people in society.